Organizations join forces to prioritize Anti-Black Racism on the Canadian political agenda. 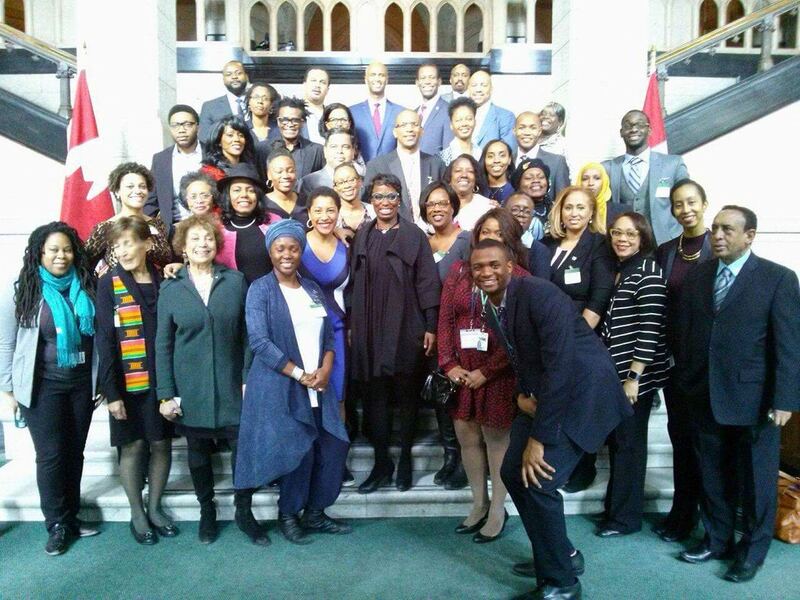 Ottawa, Ontario – (February 6, 2017) Today, several leaders from the black community across Canada joined forces to open dialogue with Parliamentarians about anti-black racism in Canada. Representatives from over 25 organizations joined to support this effort, and align priorities to put anti-black racism on the political agenda in Canada. The list of organizations is expected to grow. Representatives are meeting simultaneously with over 50 Members of Parliament (MP) from all three major parties representing 7 provinces. The key ask is for MPs to support the tabling of legislation (currently being drafted by Greg Fergus, MP for Hull-Aylmer) that acknowledges the United Nations’ (UN) declaration of the International Decade for People of African Descent (International Decade), to raise awareness, and to begin to more actively address the unique challenges faced by African Canadians, which cannot be adequately addressed by general diversity and inclusion policies. Development, Education, Health Equity, Immigration, and diversity in Public Appointments. The delegation consists of community leaders from Edmonton, Halifax, Montreal, Ottawa, and Toronto from a wide range of professional, religious, and socio-economic backgrounds. A broader representation from the community is expected as the message unfolds. ENsight, provided pro bono service to coordinate the group. Official recognition of the UN International Decade for People of African Descent is a catalyst to publicly note the contributions that African Canadians have made to enhance the fabric of Canadian society for developing measures to increase inclusion and reduce the effects of racism and racial discrimination in Canada. African Canadians are underrepresented in senior political, economic, educational and institutional positions of leadership. Unlike many other racialized and cultural groups, African Canadians have not seen proportional advances in representation in public institutions, socio-economic development or community institutions. La mesure dans laquelle les Afro-Canadiens sont l’objet de racisme et d’incidents de discrimination raciale n’a pas été convenablement évaluée ou étudiée à l’échelle nationale. Les répercussions défavorables sur les Afro-Canadiens du racisme et de la discrimination raciale ne peuvent être écartées tant qu’elles n’ont pas été cernées, suivies avec régularité et rapportées publiquement. Les Afro-Canadiens sont sous-représentés dans les postes principaux de leadership politique, économique, pédagogique et institutionnel. Contrairement à d’autres groupes racialisés et culturels, les Afro-Canadiens n’ont pas vécu une évolution proportionnelle de leur représentation au sein des établissements publics et des institutions de développement socioéconomique ou communautaires.